Actually my rate(s) work this way...1 hour is $225, 2nd hour is $200 than thereafter it's $175 hourly and may/might be adjusted if travel requires over 25 mi one way. I take cash (PREFERRED), CHECKS (must clear), and PAYPAL for credit cards. I may/might require a deposit dependent on how far out you are booking me (30 days or more out), if it's closer I may/might waive the deposit. DEPOSITS are NOT REFUNDABLE and may be used for a future performance. Any balances are due and payable AT TIME OF PERFORMANCE no exceptions unless PAID IN FULL at time of BOOKING. Gratuities are NOT INCLUDED, nor are they mandatory, but they are GREATLY APPRECIATED! 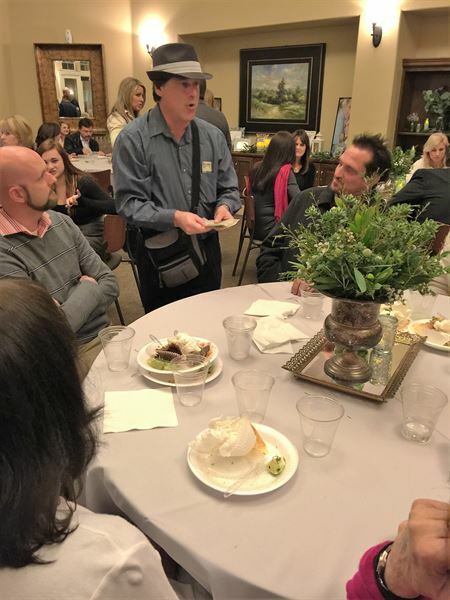 Special Features: I'm award winning magician Marty G and my show/act will engage, involve, amuse, and often amaze the audience/spectators in magical happenings with cards, coins/money, ropes, silks, etc. No fire or animals used.